“No plastic waste in our water” is the mission of the Plastic Soup Foundation. Get educated, be aware and find solutions! Be aware: The Plastic Soup Foundation constantly draws attention to plastic soup through campaigns, news articles and social media. Get educated: Anyone who wants to find out more about plastic soup is in the right place when they come to us. The Plastic Soup Foundation has developed educational programs for primary and secondary schools since 2016, and in 2018 we launched a new digital education program for primary schools. In addition we work together with experts, politicians, organizations, universities and companies which have similar missions or visions. Find solutions: The Plastic Soup Foundation stimulates all possible (innovative) solutions which help tackle the causes of plastic soup at source. Measures which prevent plastic entering the environment, water and possibly ending up in the sea have the greatest impact in our opinion. This includes reducing the amount of single-use consumer plastics, the development of a plastic footprint for companies as well as smart devices which collect plastic in waterways. Read more about our vision for 2018 in the Activity plan 2018. In September 2015, the United Nations determined the 2030 Agenda for Sustainable Development. This agenda comprises the seventeen well-known Sustainable Development Goals(SDGs). All Member States have an effort obligation to adjust their policies so that these goals will indeed be achieved in 2030. Many organizations and companies have now also embraced the agenda and use the sustainability goals as a guide for their actions. Would you like to collaborate with us? Do you have an initiative or do you want to support on of our actions? Here we show you what you can do as a consumer or a company. You can also contact us directly. Since the founding of the Plastic Soup Foundation in 2011, we have been a fast growing organization. From a small group of motivated volunteers without funding to 10fte at the start of 2017, a very competent and committed board, a big and strong worldwide network and a budget estimate of almost a million euros in 2016, of which 400,000 euros in kind. Through smart and witty campaigns the Plastic Soup Foundation has a strong influence on the public, industries and politics. 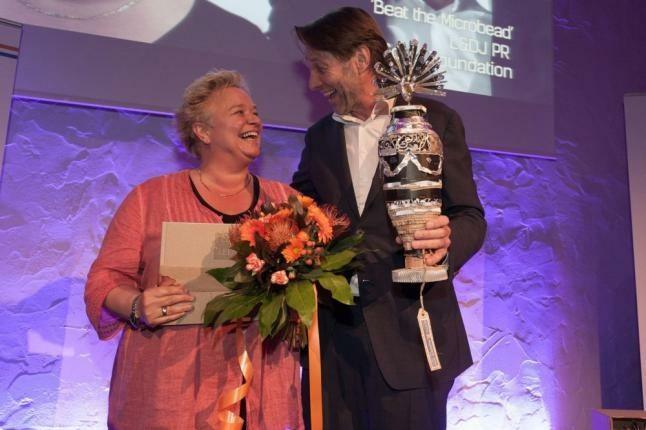 In 2014 PSF and L&DJ PR won the Dutch PR Award for their ‘Beat the Microbead-campaign’ in the non-profit category. In the same year the organization also won ‘De Onderscheiding’ (The Distinction) for the same campaign. Annually this prize is awarded to special initiatives that make a difference with the support of equity funds. In 2016, chair of the board Jacqueline Cramer was elected by a large majority as ‘Verschilmaker van 2016’ (Difference Maker). As chairman of the Plastic Soup Foundation, professor of sustainable innovation at Utrecht University, ambassador of circular economics in the metropolitan area of Amsterdam and former Minister of Housing, Spatial Planning and the Environment, Jacqueline was the first to address the plastic soup at the EU Environment Council in 2009. 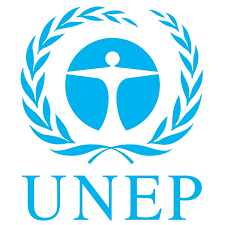 In April 2016, the Plastic Soup Foundation became accredited by the UNEP. This means the PSF has gained observer status— together with more than 200 other Non-Governmental Organisations —and, among other things, can get its voice heard directly prior to and during UNEA (United Nations Environment Assembly) sessions. In November 2016, the Plastic Soup Foundation (PSF) has been accreditated as an “invited guest” by OSPAR. With that, the PSF is added to the“Intersessional Correspondence Group on Marine Litter (ICG-ML)“. PSF can now officially participate in meetings where the most important marine litter experts from North-West Europe are present.